In ‘connecting-the-dots’ and fitting all the pieces of this formula together, it is important to realize that, even in times when we are busy taking care of daily responsibilities and it is obviously impractical to be clearing the mind, such times/moments can be significantly complemented by the blossoming effect resulting from the healthful peace of mind which can be realized through consistent application of the meditative practices mentioned herein. I don’t like my vegetables. How much trouble am I in? “We all go through life developing preferences, often blindly, without much thought as to whether they are good or bad for us. Such preferences are most often fashioned after the role models which we witness. Commonly, if asked, we have difficulty explaining why we have this preference or that. The statements, “I don’t like vegetables,” and, “I don’t like exercise,” both seem quite self-defeating and onerously unhealthful. Of course, some preferences are healthful: they are often those which are based on conservative principles of culture – developed over time through trial and error and are easier to explain and justify. Notwithstanding, even some of these preferences can be found to be quite faulty and unhealthful – particularly now that modern science has allowed us a plethora of information with regard to health and wellness. How much ‘room for improvement’ can we handle? “We often prefer not to make the effort to be objective and insightful, and many do not choose to develop critical thinking skills at all – choosing a lifestyle in which we develop an ‘addiction’ to ‘running away from ourselves’ – running away from looking inward. In practical application, this is like living a lie. Broad manifestation of unhealthful practices is a vicious cycle: We learn from role models, and we model the same for others – to our contemporaries and from one generation to the next. In commenting on someone’s unhealthful behavior, a common response is “‘gotta go sometime.’” It is a sad commentary when contrasting it with the realization of true health which we are capable of. Living a way-of-life in which unhealthful preferences are seemingly matter-of-fact norms stifles our ability to feel good about ourselves on a truly substantive level. 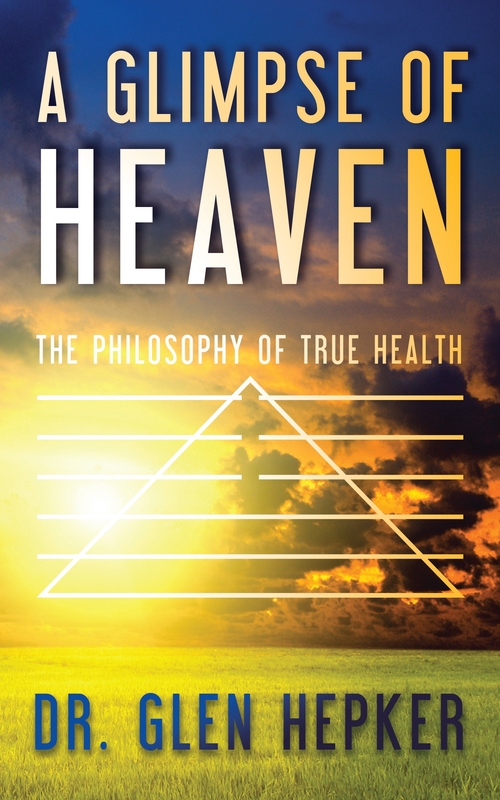 In contrast, learning to gauge our preferences in a fashion which is congruent with objective understanding of what is healthful, versus what is unhealthful, enables us to develop the capacity to appreciate and enjoy higher and higher levels of True Health. This true gauge can be applied to virtually ANY moment, ANY aspect of our lives. When we nurture and ‘fine-tune’ this gauge, this tool, we are treating life as an art. One of the greatest gifts in life is the same which is manifest in what makes any art an art: No matter how hard we try to do a ‘good job,’ no matter how much effort we make to perfect it, there is always room for improvement – we can always do a ‘better job.’ Life CAN be an art, an art form, if we prefer, if we choose to embrace it as such. In choosing to realize higher and higher levels of true health, we must be willing to exercise significant levels of free will by ‘opening our eyes’ to this art, this beautiful gift of life – thus taking true responsibility for our own health and wellbeing. Am I hiding below land level? What is a less and less blemished ‘witness’…is it one who is selfless and is able to alleviate unhealthful desire/craving? What kind of world would it be if more and more of us learn to play the honest part of the unblemished witness, e.g., developing a finely honed skill in witnessing our internal and external environments as such – without the terrible weight of our preset patterns of thinking, expectations, and freedom-depraving craving and desire? What kind of world would it be if this healthful outlook prompted us to genuinely appreciate, feel gratitude for the innumerable resplendent gifts/blessings which are inside of us and all around us, ALL of the time? What if unhealthful craving and desire (AND fear of healthful change) are the most genuine, most TRUE of diseases? What if – what if – what if?! What if this is true? 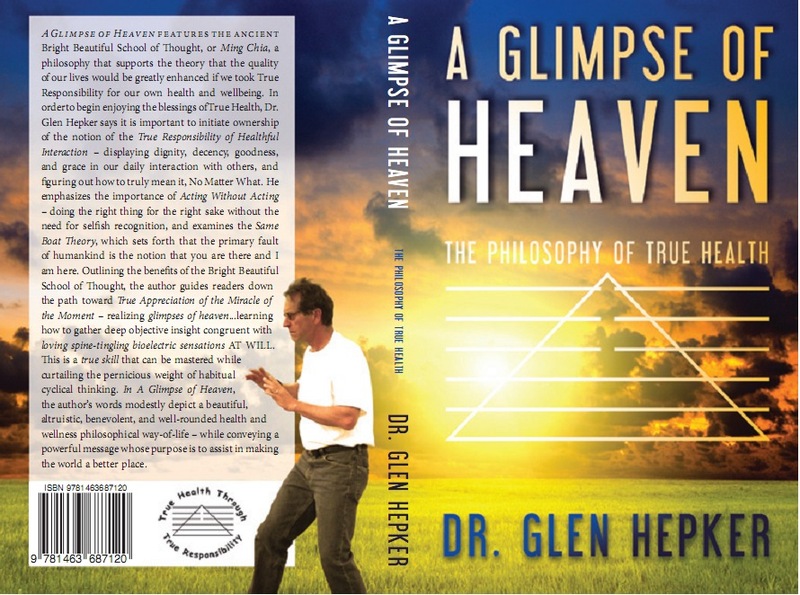 What if a truly healthful philosophical way of life is the necessary ‘key’ to unlock the door to (practical application of) the deepest, most splendid applications of our scientific knowledge (which, NO LESS in the contemporary sense, we so often ignore). Putting the notion of ‘true health through true responsibility’ into practical application is obviously a very difficult thing. Albeit, it IS the right thing for the right selfless sake: As we learn to better and better gauge our thoughts and actions through this lens, it cannot help but make our world, THE world a better place. AND making the world a better place can be embrace, loved, and appreciated as a truest of genuine responsibilities. We all get ‘stuck’ in our faulty thinking – our bad habits. Mistakes are lessons that we need to learn. Albeit, we don’t need to keep learning the same lessons again and again and again forever: getting permanently stuck on stagnant plateaus can be like a purgatory, a living death. If we choose to exercise it, we have the wherewithal to ‘raise ourselves back up to land level.’ We CAN learn to see, to witness things as they REALLY truly are. Through the healthful lens of unblemished (selfless) objective insight we can learn to play the part of the perfect witness, able to look out into AND past our real and imagined horizons…without(!) the pernicious weight of our ‘baggage.’ We can allow ourselves ongoing moment to moment true appreciation – we can allow ourselves the corresponding pleasure of taking true responsibility for our own health and well-being – we can allow ourselves corresponding and ongoing sparkling spine-tingling/shivering glimpses of Heaven. Can our quality of life be gauged by way of our depth of true appreciation and gratitude? “We have all experienced what we coin as ‘sentimental moments’ – those truly loving and warm, ‘spine-tingling,’ ‘spine-shivering’ sparks that move through our bodies. For most, these are likely very special moments, to say the least: They are often the result of some special insight congruent with a feeling of love, benevolence, goodness, and grace – likely all of the above. Albeit, the significant question herein is how often do we enjoy these not-so-little gifts? For many, these feelings come infrequently. What would life look like if we experienced these feelings MANY times each day? What if we could healthfully prefer to learn to purposely feel that light, that good, more and more often – like a finely-honed skill? Those suffering from machismo may say that such a thing is ‘only for the weak.’ In these health arts, it is one aspect of true strength. Effort toward avoiding preference for the sake of preference and the consequent realization of healthful multiple spiritual insights each day, is promoting of, and is enhanced by an emotional and spiritual (even physical) lightness – a lightness of being. It is a meditative deportment in which we can learn to ‘lighten’ ourselves of thought. When appropriate to the given circumstances of the moment, we witness, versus think about the circumstance which we find ourselves. Such witnessing is clear, unblemished, without opinion, precognition, or preset patterns of thinking. It is without expectations which abbreviate true freedom. Gathering this sense of lightness by avoiding unhealthful preferences enables us to enjoy a true appreciation for the miracle of the moment: An impeccable love. Familial, friendship, and romantic love are wonderful things. Even so, the sense of true appreciation spoken of herein IS MORE. It is an ‘impeccable love’ – a glimpse of heaven: It is the true living embodiment of healthful dignity, decency, goodness, and grace – thriving and compassionate, spiritual and divine. This is a level of insight, of being, where time seems to stop. It is Acting Without Acting: ‘doing the right thing for the right sake without the need for selfish recognition.’ It is a means of action in which the right way becomes clear. We all have this capacity – to love and be loved in such a significant way: In this and many fashions, we are all here in the same boat. We can do ourselves a ‘world of good’ if we learn to act like it – thereby displaying a healthful preference toward embracing selfless insight and compassion. Can I see clearly now…through the lens of true appreciation? “At its most basic level, the notion of ‘true effort’ supports this important ideal: If one wishes to realize genuine success in striving for an important objective, then this effort necessitates ‘doing it until it works’ – working at it…working at it…working at it…until nothing short of success is enjoyed – ‘never giving up’ – No Matter What. Through his character D. Juan Matus, Carlos Castaneda set forth a similar notion – “Trying is achieving” – or achieving is nothing short of “impeccable” indefeasible effort. Too often we say we want to do something or accomplish something – until we discover how difficult it is. We realize that the journey toward the goal or objective is not enough fun – is too complicated – too nasty – too trying. We so often refuse to enjoy the miracle of the journey toward the goal – we focus our eye only on the reward – being unwilling to appreciate and objectively witness the ‘big picture.’ We are all capable of looking at this same issue through a more healthful lens: What a wonderful gift we can allow ourselves if we work toward a goal while displaying true appreciation of the miracle of the moment… each moment of the journey. This is impossible all of the time – albeit recognition of the significance of this practice is a key aspect of a true effort which cannot be separated from a healthful means of trying and achieving. In these contemporary times, we know that at almost any time we wish, it is a simple matter to just ‘be entertained,’ e.g. : television, computers, cell phones, video games…the list goes on…and on. Such activities require little of us – very little or no effort. What a godsend! Or is it? Food is clearly an important form of entertainment – particularly with such a plethora of it for the average person – and most particularly types of food which are so unhealthful – yet SO GOOD to the taste (and…entertaining). Exercise…’oh boy!’ It appears that for a large majority of us, exercise, e.g., moving the body in a fashion congruent with the way it was meant to…is clearly NOT a form of entertainment. For most of us, being healthy is clearly ‘no fun’: Eating healthfully and exercising (or just moving our bodies) requires, at least initially, serious amounts of effort. In order to explore the multi-layered notion of true effort in a deeper fashion, we must be willing to look at a common trait which we often seem to blindly display when we exert effort in various circumstances: It is our craving for some sort of reward and/or recognition for said effort, and the positive outcomes thereof. The true health outlook herein is that we should move beyond this base desire or need: It sets forth that healthful change is always more deeply rooted and beneficial as we learn to avoid desire for reward and/or recognition for our effort. The more we embrace effort, versus reward and/or recognition for our effort and accomplishments, the ‘sweeter’ and more enlightening the benefit of our effort will be. 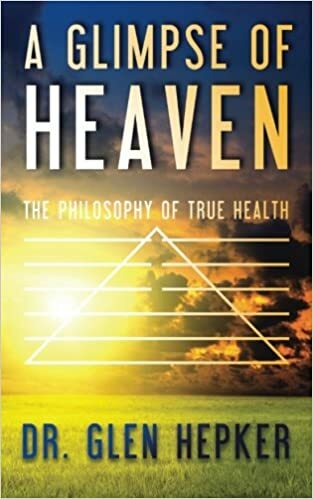 Definitive utilization of the notion of ‘true health through true responsibility’ necessitates substantive philosophical insight into the practical application of the physical tenet of the Theory of Lightness. The theory has a distinct association with ‘true relaxation’ – an ardent appreciation and genuine enjoyment of a lightness of being within one’s body, mind, and spirit. Realization of this high level of relaxation is inclusive of a sense of physical lightness, whether one’s body is stationary or moving. It is commonly accepted in contemporary empirical research that various types of stress and anxiety have a dramatic negative effect on our mental and physical health in myriad fashions. In promoting a genuine ‘lightness of being’ based on healthful practical philosophical objective insight, we can learn to control the stressors and/or anxiety which trigger a heavy sense of being weighted-down. 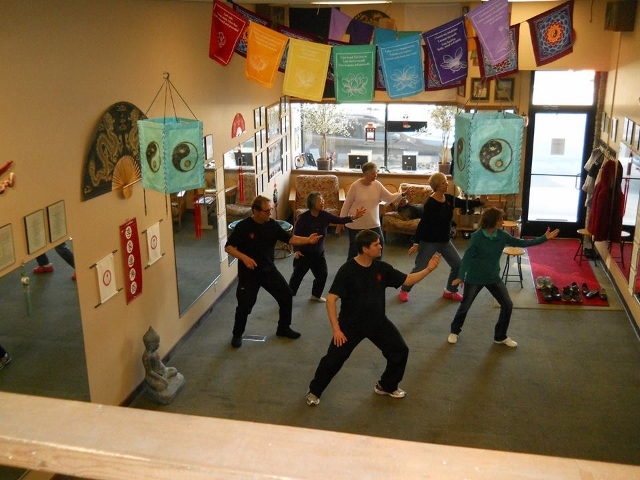 ~ Those who step lightly, move mindfully and fluidly, know lightness of body, mind, and spirit. ~ Relax the stepping foot – step light, soft, not assuming that the floor of the stage of this comedy and drama is true. ~ If the elbows and knees are bent, and the hands, face, shoulders, and feet are relaxed, you are relaxed, and more and more able to curtain unhealthful anxiety-provoking thought. ~ Hurriedness is a frame of mind and an addiction. ~ Flexibility is life, stiffness is death. ~ The practice of refined abdominal breathing has made many a sick person healthy and many a healthy person remain so…once one becomes able to do it naturally, not just intentionally, it is a gift to oneself whose value cannot be measured. ~ Consumption of food is a basic need, but our desire of food should not consume us and destroy our health. ~ Poor eating habits, lack of mobility, and overt stress and anxiety, impede circulatory quality of blood, lymph, bioelectric energy, and uptake of oxygen in our bodies…the root of a significant majority of maladies. The inherited natural make-up of our bodies may promote a greater propensity toward realizing particular maladies – you this, I that. Albeit, the fashion by which we treat our bodies both agitates our natural make-up and complements it. ~ Lightning bolts do strike, but most of the time, the heavy pernicious health difficulties we experience are by our own doing…nothing is of greater import than taking genuine responsibility for our own health and wellbeing: It is the right thing for the right sake in myriad fashions. ~ Our bodies evolved moving a lot, not sitting a lot. When our bodies are not exercised or utilized in fashions congruent with the intrinsic needs which prompted it to evolve into (or be created into) its defined physiology, such a lack of exercise or use prompts it to deteriorate, ‘fall apart.’ The human body evolved walking, running, hunting, gathering, fighting, sleeping, among other things. It did not evolve doing a lot of sitting. Symptoms of this deterioration are reflected in various types or combinations of poor health and weakness – inclusive of disease and a lack of appropriate balance, strength, and relaxed deft coordination.